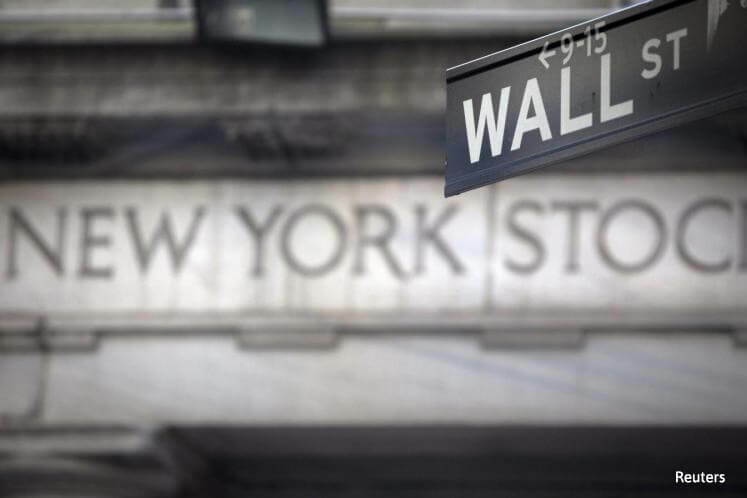 NEW YORK (April 6): US stocks were higher on Thursday morning, led by financial and consumer discretionary companies, but gains were kept in check by cautious trading ahead of the Trump-Xi meeting and on uncertainty about quick US fiscal stimulus. President Donald Trump and his Chinese counterpart, Xi Jinping, start their two-day meeting on Thursday and top of the agenda is the possibility of Trump using US-China trade ties to pressure Beijing to do more to rein in North Korea's arms program. The meeting comes as doubts arise over Trump's ability to deliver on his pro-growth promises, such as tax cuts. US House of Representatives speaker Paul Ryan said Wednesday that the tax reform bill could take longer than the stalled healthcare bill. "The market can still go higher, but they need to make sure that everything the market has gone up on so far is coming to pass," said Neil Massa, senior equity trader at Manulife Asset Management in Boston. "And that means making sure Republicans are able to do the pro-business agenda that they put out there." At 11:05 am ET (1505 GMT), the Dow Jones Industrial Average was up 36.66 points, or 0.18 percent, at 20,684.81, the S&P 500 was up 4.7 points, or 0.19 percent, at 2,357.65 and the Nasdaq Composite was up 9.42 points, or 0.16 percent, at 5,873.90. Eight of the 11 major S&P sectors were higher led by the consumer discretionary index's 0.6 percent gain. Comcast rose 2.6 percent after the cable company announced its entry into the US wireless business. Also boosting the index was L Brands, which jumped 10 percent after reporting a smaller-than-expected drop in March sales. The energy index gained the most, up 0.8 percent on higher oil prices. Financials were up 0.7 percent. Among the laggards was AMD, which sank 7 percent after Goldman Sachs started overage with a "sell" rating. As corporate earnings reports start trickling in, investors are also cautious given the lofty valuations. The S&P 500 index is trading at about 18 times forward earnings estimates, above its long-term average of 15. Advancing issues outnumbered decliners on the NYSE by 1,707 to 1,013. On the Nasdaq, 1,321 issues rose and 1,302 fell. The S&P 500 index showed three 52-week highs and four lows, while the Nasdaq recorded 14 new highs and 50 new lows.